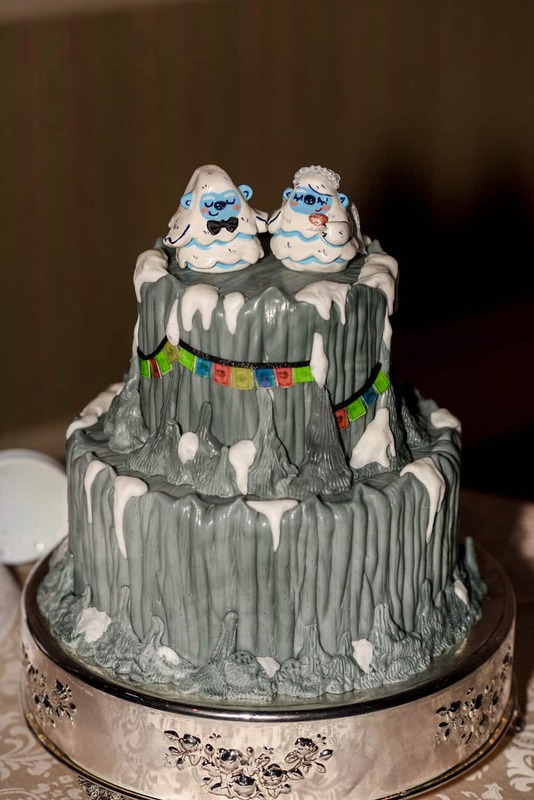 Explore the legend of the forbidden cake! 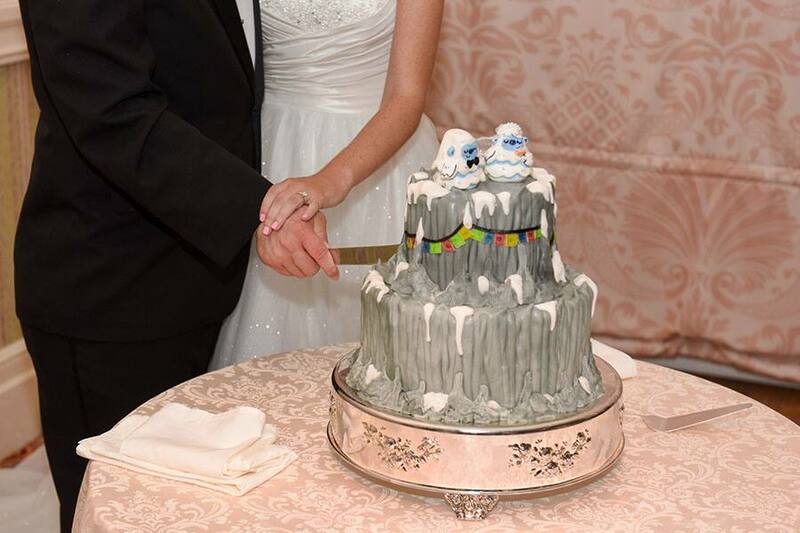 This cute wedding cake is inspired by one of my favorite attractions in Disney's Animal Kingdom - Expedition Everest. The iconic flags and snow capped peaks instantly take you back to the roaring roller coaster that zooms through the mountain in search for the Yeti. 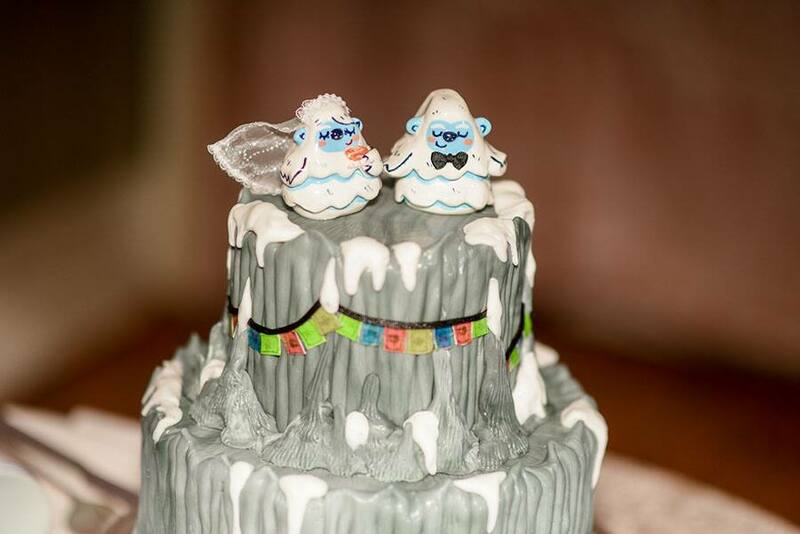 The monsters atop this dessert are hardly as terrifying as the one you might know - these two are just plain adorable!